The Compound Semiconductor Applications (CSA) Catapult has announced that it has secured its first commercial agreement with the University of Bristol. The university has developed a ground-breaking technology called TherMap, which uses a non-destructive technique to measure the thermal properties of semiconductor wafers and other multilayer structures. This technique is suitable for most wide bandgap layer structures, such as GaN on SiC, and can be used for in-line process monitoring and yield optimisation. The University of Bristol has commissioned the CSA Catapult to provide an analysis of the potential market for this technology in order to inform the commercialisation roadmap. The Catapult will interview potential users of the technology to establish their current approach to wafer characterisation and inform them about TherMap. Located in South Wales, the CSA Catapult works collaboratively and has built strong relationships with key players across the UK wafer fabrication industry. This outreach to CSA Catapult’s network will enable it to advise the university on how its TherMap technology could be used in innovative applications within the compound semiconductor industry. CSA Catapult is currently in start-up mode to build its full technology capability. It will initially focus on three technology areas: Photonics, Power Electronics and RF & Microwave. CSA Catapult’s Photonics section can offer companies access to a range of services to assist with Photonics application development. 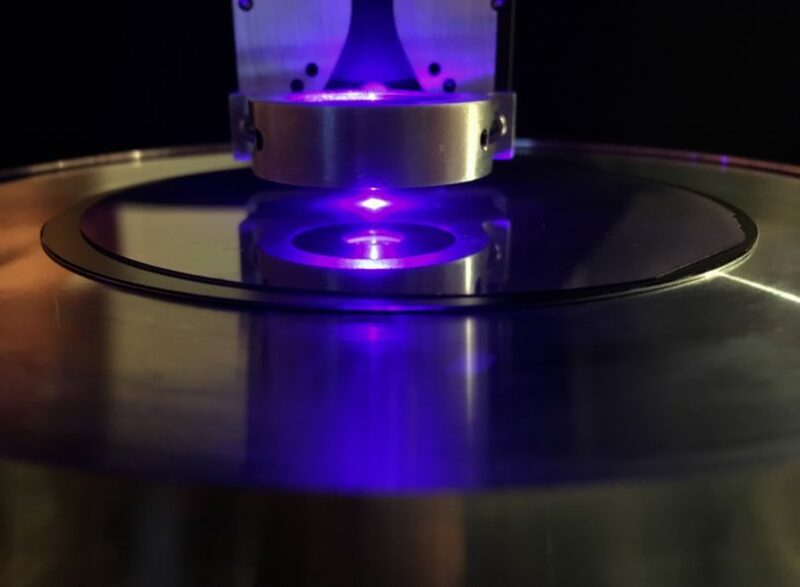 Its integrated approach supports the whole design lifecycle from optical system and optoelectronic package design through to packaging, test and characterisation, and qualification testing for harsh environments. The Photonics section offers the development of high reliability optical systems whilst ensuring a design for manufacture and scalability. The team has expertise in optical modelling and simulation, spectroscopy, sensors and telemetry. Power electronics activities at the CSA Catapult are focused initially on the transportation sector covering, for example, automotive vehicle electrification and more electric aircraft. The power electronics facilities at the new CSA Catapult innovation centre cover converter and power module modelling, PCB and package design, simulation, system evaluation and reliability testing. The equipment includes programmable AC and DC sources and loads to 500kW, and an Electro Magnetic Compatability (EMC) anechoic chamber for pre-compliance radiated emissions and immunity assessment. The team has expertise in system design, simulation and modelling, as well as system level test and evaluation. The RF & Microwave section can offer companies a range of collaborative R&D and commercial opportunities spanning design, modelling and simulation of semiconductor devices, circuits and systems, packaging and assembly through to test, evaluation and qualification. The team will have expertise covering device physics and modelling, MMIC/RFIC design, antenna design, RF packaging and assembly and systems integration. The Catapult is actively looking to fill positions across all levels of the organisation and in particular its three technology sections. Working with the Catapult can provide the opportunity to contribute and shape a business in its early stages. The Catapult has a collaborative, supportive and inclusive culture which will be reflected in its Innovation Centre where agile workspaces and settings for different types of working behaviour are part of its DNA. The Catapult has the benefit of a fast-moving entrepreneurial culture and a solid five-year delivery plan.